Weather = Sunny with occasional cloud cover. Very windy on top. Cold wind. Time to get out and bag some more munros. I had a break last weekend and decided this weekend I would try a shorter walk than the ones I had being doing recently. These three munros complete my Loch Lomond munros and with a walk of only 15km it should be a breeze compared to my 20km to 30km walks of last month. So I quickly follow the farmtrack which bends to the right passing a forest track going off to the left. (Dont go there). I pass the farmhouse and then there are two large farm out buildings on the left. Just after these out buildings there is a fence running up the hillside beside a burn with a distinct path up the side of the fence. Well this is going the way I need to go so I follow it up the hillside. After a short time I pass a mobile phone/TV transmitter station/Antenna, hope I don’t get microwaved hahaha, and shortly after I meet a fence with no stile so I have to jump across it. Its quite small so it easy to cross. 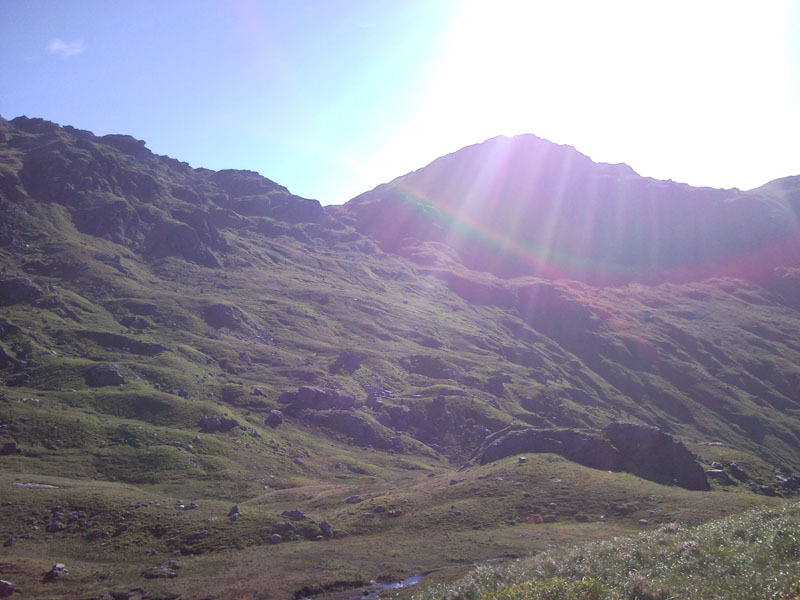 There is no path and its a matter of heading up the hillside in SE direction for about 2km to the top of Stob Glas. There are signs of a path here and there but its quite easy to stay on track and get to the top of Stob Glas. From here I find a path which meanders around but generally heads in the right direction. However at Bealach nan ban Leacainn where the map height says 700 there is a 10m rise which I climb. I have lost the path but I can see the path heading up the side of the ridge. Its below me so I drop down the hill for a few metres and follow the path. Looking up there is a nice ridge line that looks good but today is very windy so I decide to stick to the path which goes up the hillside in the lee side of the ridge so its out of the wind. At about the 900m point I loose the track. I saw a nice short vertical climb straight up a rock face and decided to tackle that. It was only about 12feet high though so nothing dangerous. Now its simple to get to the summit from here. I traverse NE for the final 100m to rejoin the path to the summit. After a snack and pictures I now head of towards Beinn a Chroin. I head south down the hillside. I can’t see a path at the moment but as I descend the steep slope I can see a path below me and make a beeline for it. The descent is quite steep and rocky and after just under 1km I am at Beallach Buidhe. Its now only 1km and 230m ascent to Beinn a Chroin but there is a very steep section of approx 80m to ascend with some scrambles up sloping rocks but there is good grip to be had. (remember though there has been no rain). 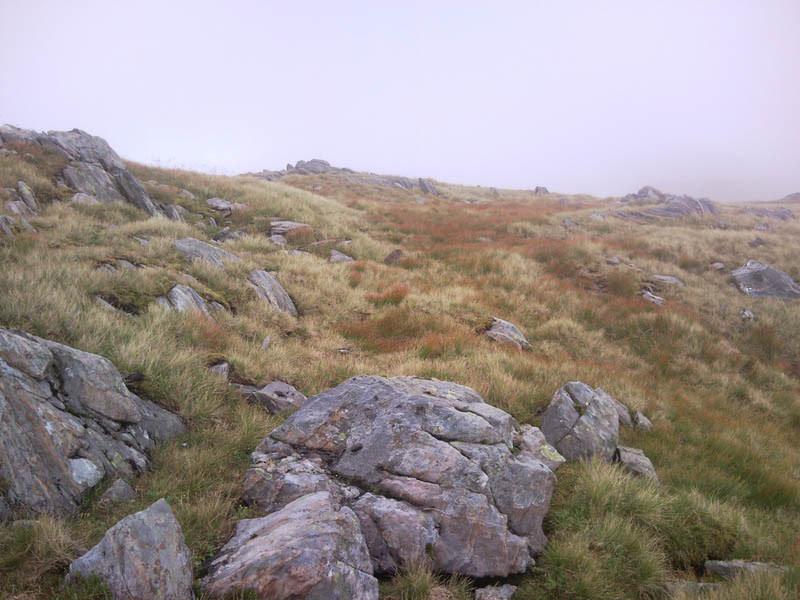 Once the steep bit is out of the way its an easy walk to the first cairn at 938m. The summit is at 942m so its another walk along the path for 100m or so. As I stand at the summit I look East and see another summit that looks higher. I nearly head of over to it but after consulting the map I see that it is in fact a spot height of 940m. Its an illusion that it looks higher hahaha. 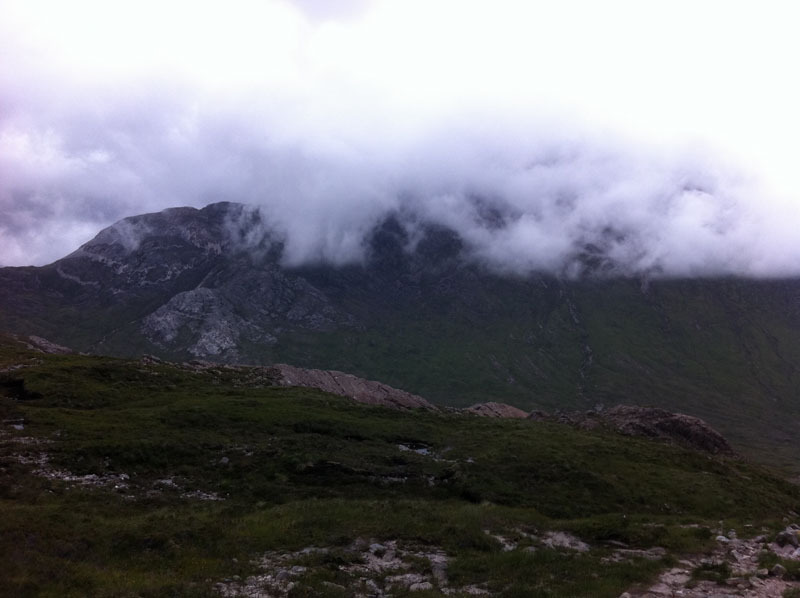 So I now backtrack all the way back to the beallach buide taking care down the scrambles as I descend. I now descend down the pathless hillside. I can see the beallach at 607m and I pretty much head down to that point. The hillside above me looks quite steep. I take a beeline for the summit and start to climb up the hillside. 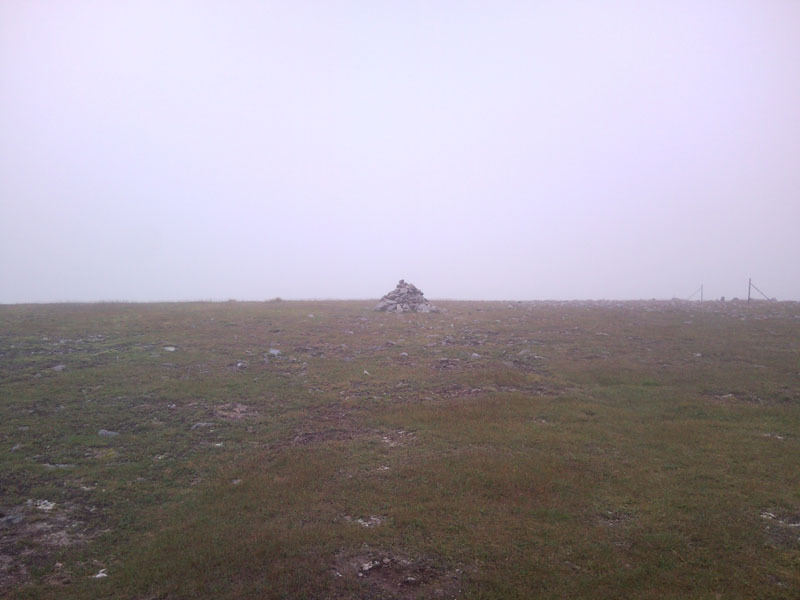 It doesnt take long to ascend and I am soon on the top of Beinn Chabhair. I take some more pictures and then start my descent to the car. I follow the track over Meal nan Tarmachan. The track meanders along as it drops down the ridge. I leave and rejoin the track a couple of times because it is going away from my chosen descent heading of towards Lochan an Chaisteal and Inveranan and after 1km I decide to leave the track for good and head down the hillside. Its now pathless all the way to the farm track near the car. Its reasonable going underfoot down the hillside but it becomes long grass and bog for the last two km’s as I follow the burn out of the valley. I cross the burn back and forth in the hope of finding a path but to no avail so I just persevere down the grassy slope. In no time at all I rejoin the WHW track back to the farm. There are loads of people running on the track and I run along with one guy who tells me its the WHW one day race today and they are all doing it. http://www.westhighlandwayrace.org/Thats 95 miles ascending 5000m run in one day. This guy started at 3am. I leave him and pass other runners who have stopped or are going slowly. The say to me your going well keep it up hahaha. I shout back that I am not in the race and wish them all good luck on there immense day. So back to the car very pleased with my day.